The Boxing Truth®: Rances Barthelemy Defeats Argenis Mendez Convincingly, What’s Next? Rances Barthelemy Defeats Argenis Mendez Convincingly, What’s Next? The first encounter between IBF Jr. Lightweight world champion Argenis Mendez and undefeated number one contender Rances Barthelemy was nothing less than controversial. Barthelemy knocked out the defending champion Mendez at the end of the second round however, seemingly after the bell. The knockout was overturned and ruled a no contest. In the sport of Boxing the best way for two fighters to resolve unfinished business is in the ring. The rematch between Mendez and Barthelemy would take place on July 10th at the American Airlines Arena in Miami, Florida. In the lead up to this rematch I stated that it would not be hard to envision Barthelemy as a significant favorite heading into this fight based on how he was able to control the first encounter. The main story of the rematch in this observer’s mind would be whether or not Mendez, who could not get a consistent offensive flow going in the first fight would be able to do anything different the second time around. Although the rematch in contrast to the first fight was fought at a more tactical pace, it was Barthelemy who was forcing the action as he did in the first encounter. Even though Mendez was able to extend the fight this time around, he just seemed tentative and reluctant to throw punches consistently. Despite being able to make Barthelemy miss with his punches periodically, he could not capitalize on those opportunities to get offense off and it was not long before Mendez would be behind on the scorecards. There was however, a brief cause for concern as Barthelemy would be penalized a point in round nine and a point in round ten for low blows. It was clear however, that the challenger was in control of this fight from the outset. Despite losing two points and appearing as though he might have been flirting with disqualification, Barthelemy did not alter his approach and would go on to earn a twelve round unanimous decision and win the IBF Jr. Lightweight world championship. Although Barthelemy has officially been announced as the new IBF world champion on two occasions, unlike the first encounter, which was later ruled a no contest, this time the result will not be changed. Even though Barthelemy lost two points in the latter stages of this fight, possibly due to both fatigue and the defensive manner that Argenis Mendez fought this fight, it was an impressive performance that brought closure to a controversy. As for the former champion Argenis Mendez, he was simply too tentative and did not let his hands go consistently enough in the rematch. Whether or not it was due to a respect for Barthelemy’s punching power or possibly due to problems making weight, which he had said prior to the rematch was a problem for him in the first fight is a question that only he can answer. Mendez, who said prior to the rematch that this would be his last fight in the 130lb. Jr. Lightweight division apparently will be moving up in weight perhaps one weight class to the 135lb. Lightweight division. We will have to wait and see what route Mendez will opt to take as he looks to rebound from his loss and two difficult fights against Rances Barthelemy. What’s next for the new champion Rances Barthelemy? It seems logical as I said prior to the rematch that the winner of this fight would face former world title challenger and top contender Michael Farenas. Farenas recently stopped previously undefeated contender Mark Davis in an IBF world title eliminator to become the mandatory challenger for the winner of the rematch between Mendez and Barthelemy. If a fight with Farenas is indeed next for the new champion it offers what could be an action-packed fight on paper as Farenas, who has won thirty-nine of forty-eight professional fights has a career knockout percentage of nearly 65% having scored thirty-one of his thirty-nine wins inside the distance. Barthelemy has registered an impressive career knockout percentage himself thus far in his career as he has scored twelve knockouts in his twenty career wins for a career knockout percentage of nearly 58%. Both fighters like to throw punches in volume and that could produce fireworks if a fight between the two is made. Although the story between Argenis Mendez and Rances Barthelemy began with a controversy, the important thing to take away from all this is that not only did those who regulate the sport act promptly to resolve the controversy, but in doing so allowed both fighters a chance to settle things the way that it should be in the ring. Rances Barthelemy brought closure to things in the rematch. For a sport that is all too often the subject of much criticism for its flaws, this story should be viewed as a positive for the sport. Yes a controversy did occur, but what was more important was that those who regulate the sport showed that they can act in a manner that will be fair to all parties and come up with a solution that will ultimately resolve a controversy. If nothing else comes out of the story other than a challenger winning a world title in a rematch, it is my hope that others who are responsible for regulating the sport will see how things were handled in this situation and hopefully that will lead to more just decisions in the future. 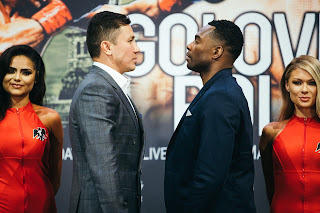 In Boxing more often than not the topic of discussions among fans and experts alike centers around what’s bad about the sport. The actions taken by the IBF and the Minnesota Department Of Labor And Industry regarding the controversial outcome of the first encounter between Mendez and Barthelemy should be applauded.